It's that time of year again. Warming up the hot stove, it's time for the All Free Agent Team. Since the end of the World Series, the only transaction that may have affected this roster was CC Sabathia re-signing with the New York Yankees. Although he hasn't played in over 97 games since 2008, he shines over his competition. Defensively, Hernández has done well to stifle the running game. His caught stealing percentage the past three years have been 55%, 51%, and 59% last year. Ryan Doumit is the only other "catcher" who can hit as well as Hernández. Doumit has shown the ability to hit the ball out of the ballpark, but he probably will not contribute more defensively than utility player/backup catcher. Comparatively, his CS% the past three years were 45%, 14%, and 32%, paling in comparison to Hernández. Every other catcher on the MLBTR free agent list is a terrible hitter. Teams needing a catcher should look at trades, late cuts, and minor league free agents. 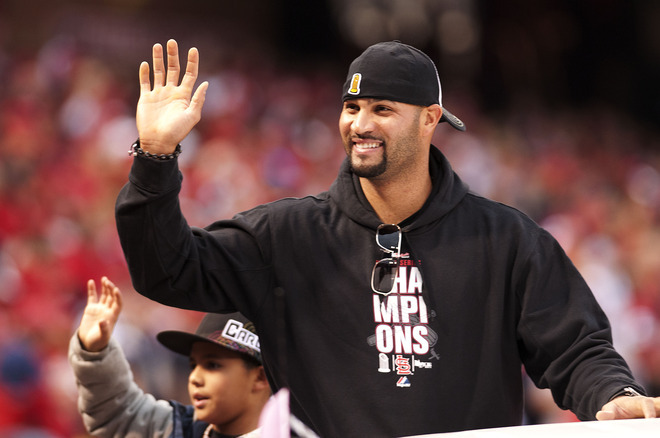 I don't want the Cubs to sign Pujols. While they need a first baseman, the risk is too high for a team years away from contention. Prince Fielder would be a more desirable high-priced import, while Yonder Alonso would be a nice lower-risk acquisition via trade. All that said, Pujols is still the best. The better move may be to sign an older shortstop and transition him to second base, but Kelly Johnson is the best of the experienced second baggers. Aaron Hill could have a resurgent career in the right environment, and he may even be a better acquisition as a Type B prospect, while Kelly Johnson is a Type A - requiring higher draft pick compensation. We're about to see who's going to invest in aging speed. Reyes should continue to be excellent for another four or five years, but who's going to overpay for years six and seven? No shock here, everyone agrees he is the best available player for the hot corner, but at age 34, some teams may not want to go with big money for three or four years. 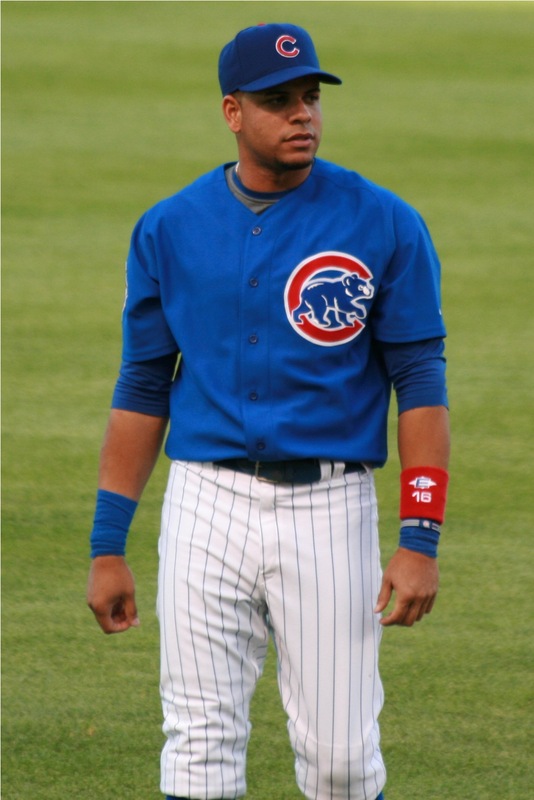 It was nice to hear Theo Epstein refer to Aramis Ramirez as a "post-prime" free agent in this Patrick Mooney article. Josh Willingham and David DeJesus could help clubs out with corner outfield spots, while hitting with similar success to Cuddyer, but the free agent fan favorite in Minnesota offers even more defensive flexibility, showing in the past that he can play all over the diamond. After a quick glance at some stats, I thought Coco Crisp would be a better choice, and he still may be. He's been much more durable of late, and plays some of the finest defense anywhere in Centerfield. The thing with Sizemore is that he doesn't even need to return to his prime year numbers to outperform Coco Crisp. Even when more healthy than Sizemore the past three years, Crisp didn't hit much better. Signs point to Beltran re-signing in San Francisco or perhaps returning to the American League for a spot with Boston or the New York Yankees. The Red Sox need a right fielder and could use the switch-hitter with excellent outfield defense, albeit with less speed than in his younger years. The Yankees exercised Nick Swisher's option for 2012, but his one year deal should make him a valuable trade chip if the Bronx Bombers want to get some pitching in trade while signing an outfield replacement. They need starting pitching, and don't want to trade Jesus Montero. Put that way, signing a good right fielder and trading Swisher sure seems to make a lot of sense. 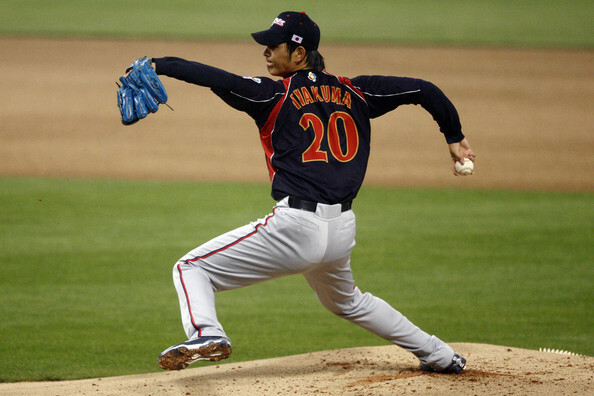 Iwakuma could be a lower cost gem. It's kind of a cop out, but Yu Darvish is not officially a free agent. He may be posted, and even then, he won't be an official MLB free agent. The team with the winning bid has exclusive negotiating rights with the player, but the player could end up returning to Japan until unrestricted free agency a year later. The same thing happened last offseason when the Oakland A's won the bid for Hisashi Iwakuma but failed to sign him. Iwakuma will be an unrestricted free agent this offseason. Last year's motives and goals for the A's are unknown, but it's curious to wonder if it will be an openly practiced strategy to significantly overbid on a player with no intention of signing them, simply to block him from a rival team. Heath Bell has been waiting for his turn at free agency, expecting to be the bell of the ball. Unfortunately, for Bell, Papelbon never got extended by the Red Sox and regained his control after two subpar years in '09 and '10. The Red Sox closer lowered his BB/9 from 3.76 in 2010 to 1.40 last season. 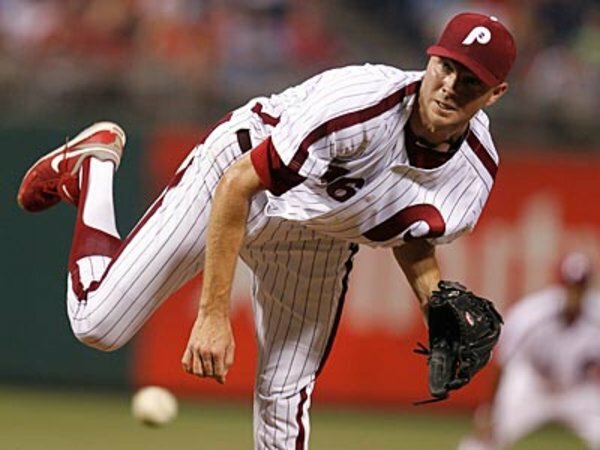 Papelbon's 2011 performance equated to a career best 1.53 FIP. Heath Bell wasn't even the best free agent closer from the National League last year as Ryan Madson posted a career best 2.25 FIP, while collecting 32 Saves last year. Bell looks better when comparing numbers of the past three years and five years, but in 2011, Heath Bell regressed somewhat to a 3.23 FIP. The tiebreaker for any team deciding between these two NL closers could be that Madson is 31 years old, while Bell is 34.